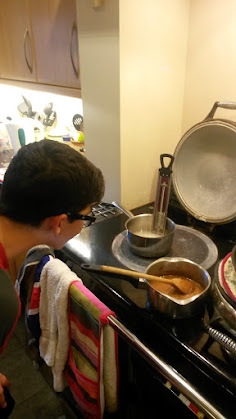 Baked Alaska has been one of the puddings William has wanted to try making. None of us had made one before and after watching the contestants in this weeks Great British Bake Off make them William decided to make one for tea. 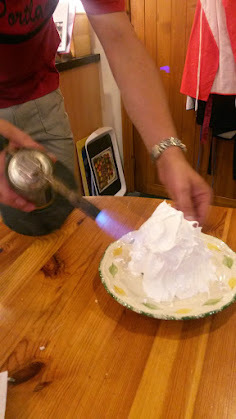 His Baked Alaska went much more smoothly than the ones on TV and didn't cause any controversy! First he made a chocolate chip sponge which was to be the base of the Baked Alaska and then using a cutter cut 4 circles of cake. 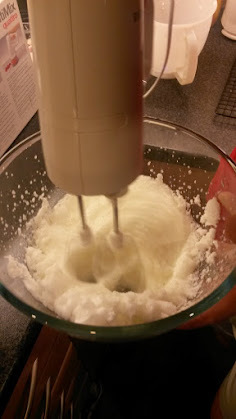 Once he had done this he mixed sugar and water and heated it to make a syrup which was then added to the whisked egg whites. 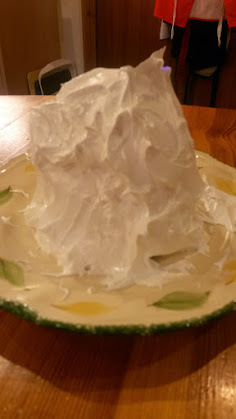 The ice cream had previously been formed into a ball and this was put on top of the cake base. 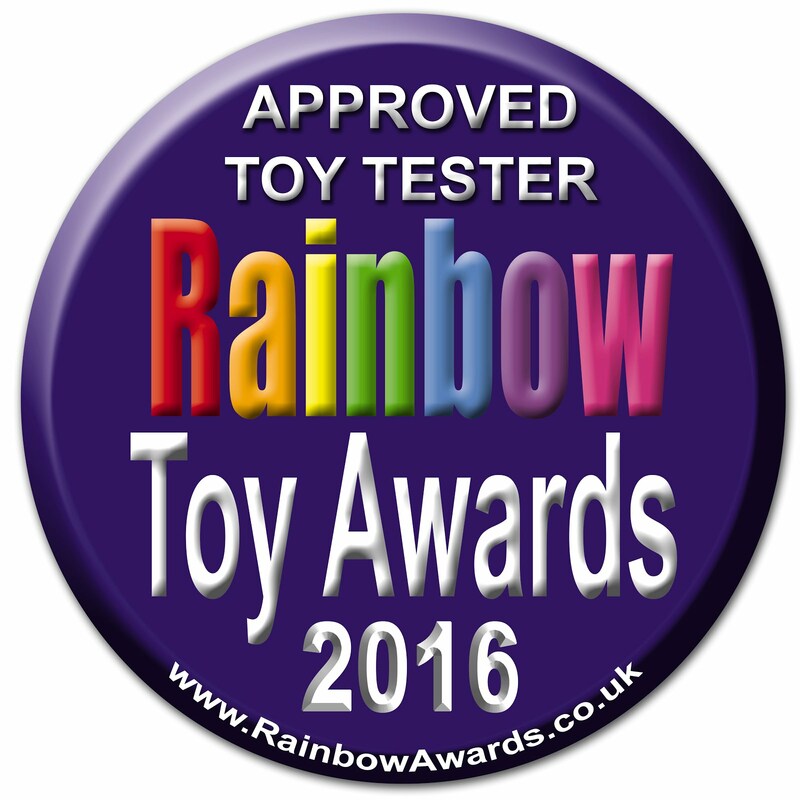 We then had to work quickly so the ice cream didn't melt. 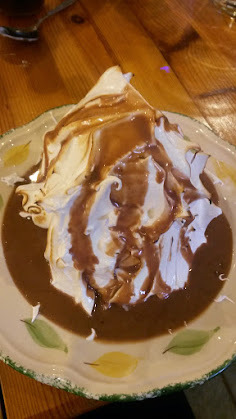 The ice cream was then covered with the meringue. Finally the meringue was blasted with a blow torch to brown the meringue. We served it with a chocolate sauce that was flavoured with After Eight mints. 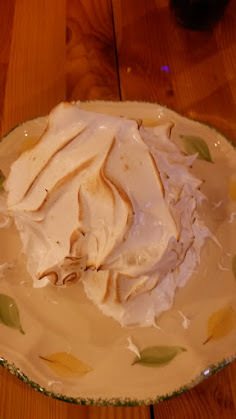 The Baked Alaska worked really well and tasted fantastic however the portions were huge and would easily have fed two people. Even I couldn't manage to eat a full one! Fortunately Grandma and Grandad hadn't had their tea yet so we gave them the leftovers.